Martial arts are both traditions and codified a system of different combat practices that are commonly and widely practiced for many different reasons including military, self-defense, mental and spiritual developments, law enforcement applications and entertainment. 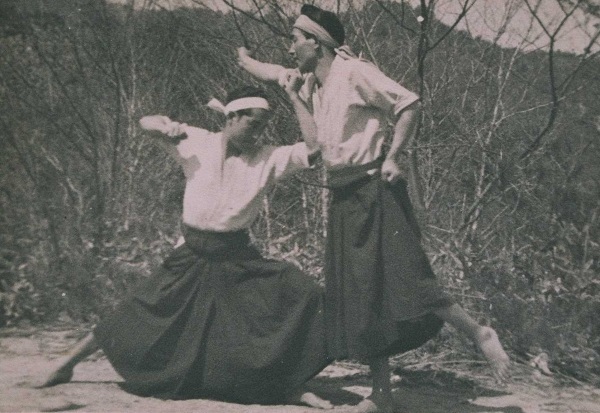 Martial arts also are practiced widely in order to preserve nation's cultural heritage, in this case, Japanese tradition. Japanese martial arts include different martial art skills that originated from Japan. The usage of Japanese term budō refers to modern Japenese martial arts. The historical meaning of the word refers to a certain way encompassing spiritual, moral and physical dimensions with a major focus on personal growth, self-improvement, and fulfillment. There is also commonly used term jujutsu which refers to the practical applications of different martial techniques and tactics in actual combat in order to facilitate dissemination and systemic instruction within some formal learning environments. Judo is among the most popular martial arts in Japan. The word judo means gentle way as well as a way of softness. The sport is a grappling-based martial art commonly practiced as a sports activity. The emphasis of the sport is on the self-improvement as well as spiritual and physical improvement. It was created at the end of 19th century by Kano Jigoro. Judo became an Olympic sport back in 1964 and at that time it quickly has spread globally. In Japan, there is a judo school known as Kodokan that teaches new judo students various budō techniques. When it comes to the most popular and highly notable judoka or judo practitioners we simply can't fail to mention besides Kano some other names notable for judo. One of the most famous judokas is definitely Yoshitsugu Yamashita. He was promoted to Kōdōkan on the 10th day back in 1935. Other notable names in the judo history include Hajime Isogai, Toshirō Daigo who was crowned All-Japan Judo Champion back in 1954, Hideichi Nagaoka, Kyūzō Mifune, Kunisaburō Iizuka and Matsutarō Shōriki. When it comes to the Japanese martial arts, other popular sports include Koryū bujutsu that includes jujutsu, swordsmanship, kenjutsu, battōjutsu, iaijutsu, nagaintajutsu, ninjutsu, and many other. Other popular martial arts in Japan include shorinji kempo, karate, aikido, and kendo. When it comes to the most popular names we have to mention famous aikido practitioners Morihei Ueshiba and Kisshomaru Ueshiba and karate practitioners Gichin Funakoshi and Choyun Miyagi.